Mothers’ Milk Bank Northeast’s newest donor milk depot opened in a grand celebration at Central Maine Medical Center in Lewiston on March 7. Our third milk depot in Maine, this site is one of 24 depots that stretch across nine states, with more to come soon. Several milk donors dropped off milk to inaugurate the new depot, including nurse Chelsea Ouellette, making her first donation, and local mom Melissa Bubier, making her final one. The event marked a personal milestone for Melissa, who has donated over 6,000 ounces to the milk bank in total. Nurse practitioner Jennifer Flynn spoke movingly of giving birth 10 weeks early to a 1 pound, 15-ounce premature baby. Jennifer expressed her gratitude to milk donors and the milk bank for helping ensure her daughter could have donor milk when she needed it. Her daughter is now a healthy 6-month-old. The milk bank’s Director of Community Relations, Cynthia Cohen, helped cut the ribbon for the ceremonial opening. 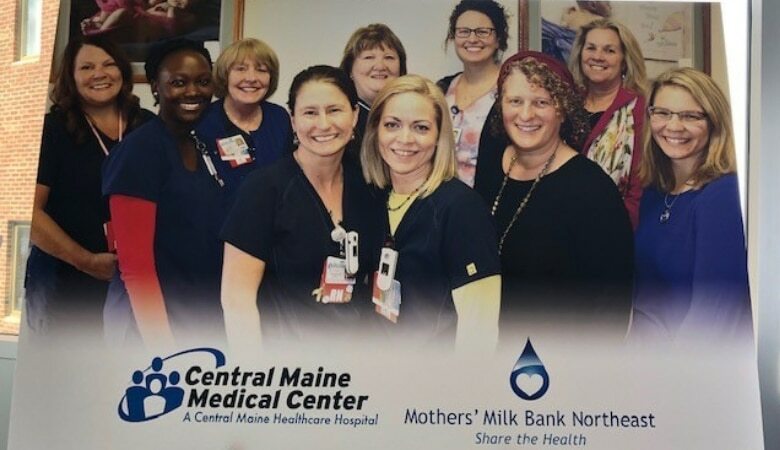 Cynthia expressed her excitement and thanks to Central Maine Medical Center for partnering with the milk bank on expanding outreach to the Central Maine community and opening this depot. The hospital created a moving video commemorating the opening; be sure to watch it on YouTube! 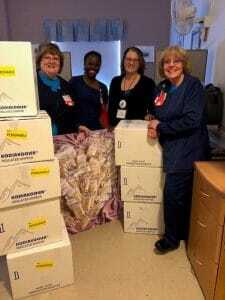 The new depot is located at the Special Delivery Family Birthing Center at Central Maine Medical Center, 60 High Street, Lewiston. Screened donors can schedule a drop-off by calling the Lactation Office at 207-795-2528. Donating milk is an easy four-step process. Check out our basic guidelines and get started today!